I was nominated by the Faculty of Education at the University of Waikato to attend an event organised by Education New Zealand (ENZ). The event is called Student Voice and it provides the opportunity for internationals students to network, and for ENZ to hear from the students themselves about their educational experiences in New Zealand. This year’s Student Voice was named ASEAN Student Voice 2015, in celebration of 40 years of partnership between New Zealand and ASEAN (Association of South East Asian Nations). 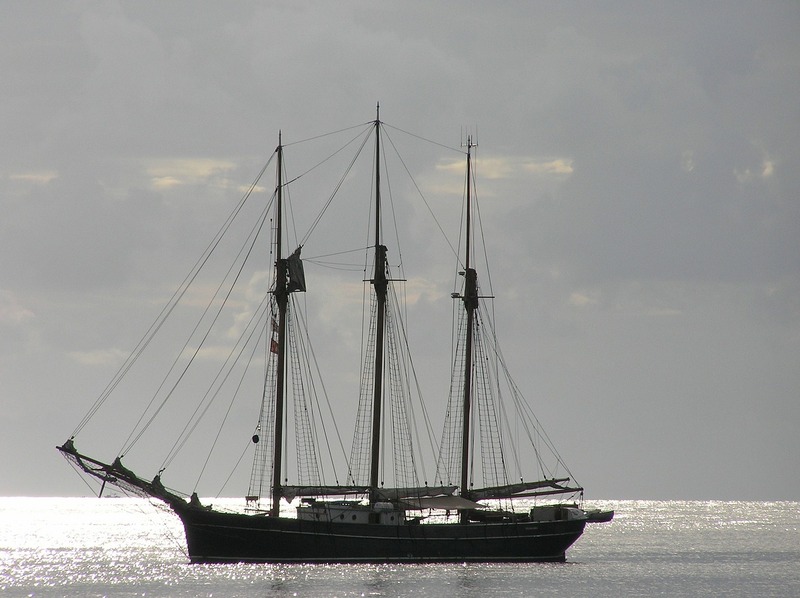 It was held on 11-12 August, 2015 in Wellington. 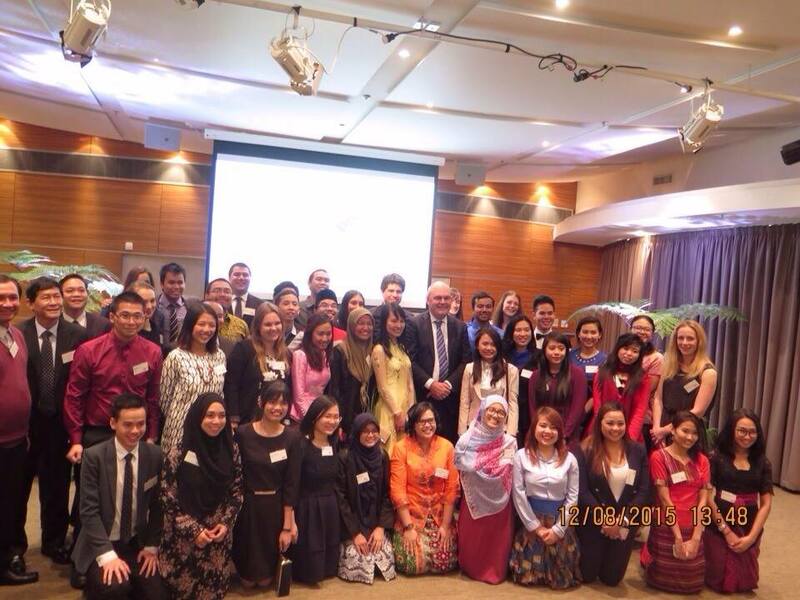 I met 29 other international students from Brunei, Cambodia, Indonesia, Laos, Malaysia, Myanmar, Philippines, Thailand, Singapore and Vietnam, as well as 10 Kiwi students who had previously spent some time studying in ASEAN countries. The 40 of us spent two days discussing issues international students face, as well as learning from representatives from government, educational institutions, and private companies. It was a packed programme, rich with ideas, possibilities, and inspiration. There were practical tips for job search and interview skills, as well as perspectives of what international education means for New Zealand. I was especially inspired by Simon Chu from Otago University, Lester Khoo from AUT, and Jimmy Walsh from Beca. While Simon and Lester shared their personal stories and motivations for building networks with international students, Jimmy spoke about the increasing importance for New Zealand to engage with ASEAN countries. Despite a full programme, there was time during breaks and meals to interact with the participants. I formed new friendships and also had the opportunity to discuss my PhD research with fellow participants. My research on informal learning practices of international students struck a chord with many and I received insightful comments and encouraging words. I didn’t have much time for sightseeing but managed to see a good part of the city early Wednesday morning. You can’t beat Wellington on a good day, as the locals say, and I’m blessed to have been in Wellington on a good day. Instead of ducking my head in wild wind, I faced the rising sun along the waterfront, and ambled along the streets as the city came to life. 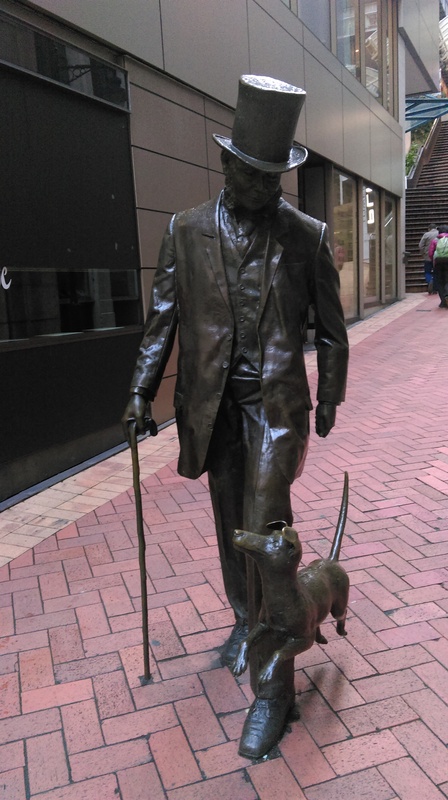 I left my heart in Wellington. The city reminds me of San Francisco – the waterfront, the hilly landscape, and a vibe that makes the city come alive. Chanced upon a magazine shop tucked behind a coffee place. Apparent, only one of two in New Zealand. 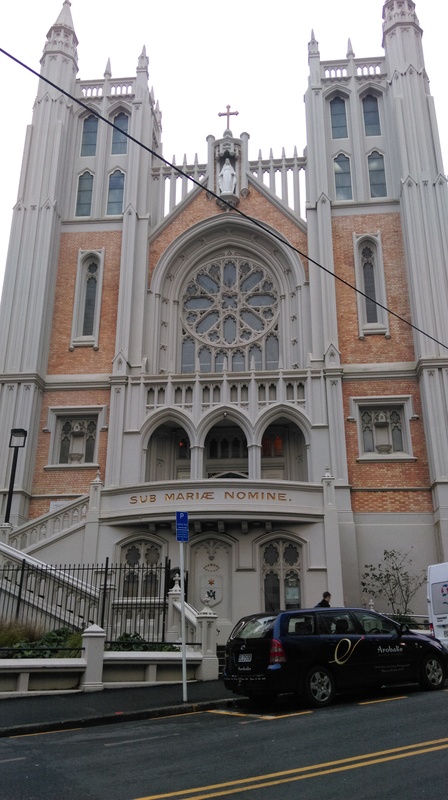 The other of its kind is in Auckland. Here, I found serious reads and childhood favs (Beano!). Picked up kids mags that came with freebies. 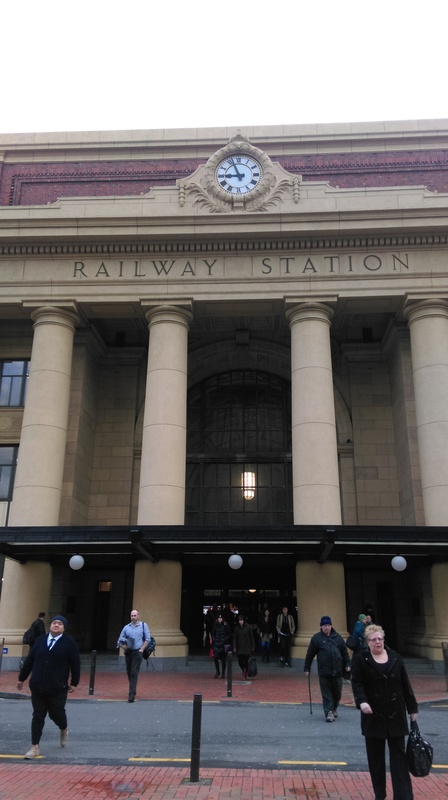 The Railway Station. A regular means of transport between suburbs and city. The timing of ASEAN Student Voice 2015 was also opportune for personal reasons. I was invited to attend a gala dinner organised by the Singapore High Commission in celebration of Singapore’s 50th National Day. I had never been so excited to be part of a Singapore community since leaving home more than nine months ago. A cultural performance by a Singaporean arts group flown in for the occasion. A mishmash of Singapore dishes – or rather, a Kiwi version of Singapore dishes. Somewhere in there was Chicken Rice. The final course of our gala dinner – a dessert platter with Kiwi and SG elements. The only recognisable dessert for me were the three chocolates. A spontaneous selfie moment with the Singapore High Commissioner, His Excellency Mr Bernard Baker and his lovely wife, Susan. 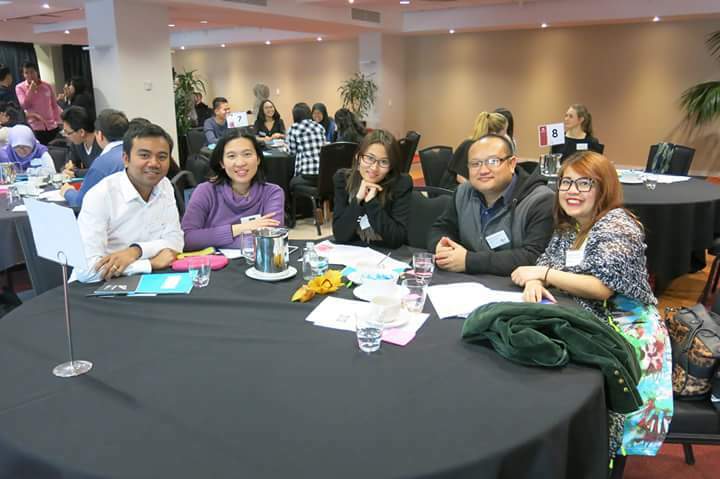 Reflecting on ASEAN Student Voice 2015, I am impressed with New Zealand’s commitment to creating a positive international student experience, and even more impressed with the passion and personal convictions of the speakers. Their common message was about relationships – cultivating meaningful and long-lasting relationships between New Zealand and its ASEAN neighbours. I now have a renewed vigour for my research, and a clearer vision of how my New Zealand journey can make a difference in the international student experience for my immediate community and beyond. I’m grateful to have had this experience and look forward to many more. 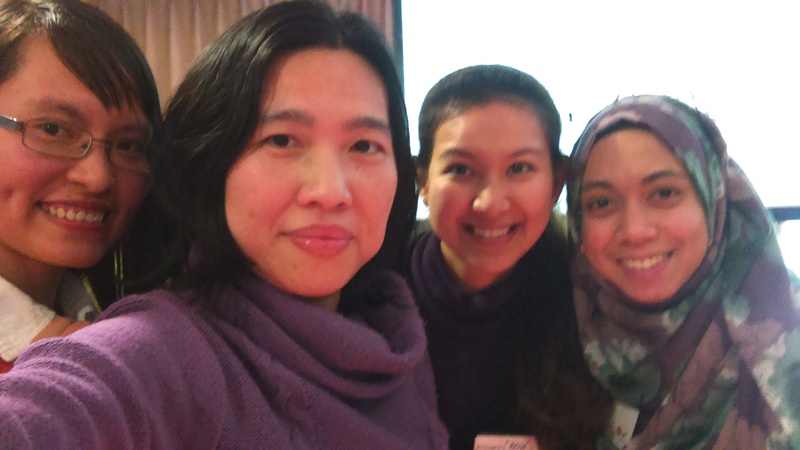 Postscript (19 October 2015): Read the article by Education New Zealand about Student Voice 2015. It has become clear to me that pursuing full-time academic or research work revolves around writing. There’s thinking, reading, musing, but writing is the central activity that binds all the activities of scholarship and knowledge finding and creation into a visible, searchable, reflect-able artifact. To be able to understand my writing and reading patterns, and to track the work I have been doing and need to do in the next steps, I have created a writing/reading log. It is an excel spreadsheet (I use Google Sheets) with columns for date, time, activity and comments. I was skeptical that I could keep up with a mundane task as this but after a few days into logging, I can see the benefits. First, it helps me to track how long I spend on various tasks. By logging the start and end time of a particular activity, I can see how long I have taken to write a few paragraphs, or clarify a thought. With this log, I realise that it can take all of two hours to write three paragraphs, and part of me wants to shorten that time, but the other part of me is thinking that I need to allocate that time in order to think and write. Second, with the comments column, I write down what follow-up work I need to do, for example, extend the argument or find more references. These comments are important so that I don’t forget what I need to do when I start the next writing activity. Previously, I used to spend time figuring out what I had thought about the previous night before I could carry on. Thirdly, this log helps me track my overall progress and serves as an encouragement to keep on writing and reading! It also helps with planning what to do and when do do it in order to meet deadlines. With a busy household of three school going children, I welcome tools to increase my productivity but more importantly, to help me improve my writing habits. This blog post, for example, will be logged as an activity so that I can track how often I blog and how long it takes me to write. Seize the day! Tomorrow may throw you a curve ball but take each available moment and make it count. Having a log will help you count that moment! The UK-style phd program can lead to an isolating experience with the phd student engaged in solo acts of reading and writing. Having study groups may fill that lonely gap, but how can this be done? Being isolated is a common perception of phd studies and it is not an exaggerated one. The UK-style phd program as it is here in New Zealand, does not have any formally taught courses as you would expect in the first two years in a US doctoral program. Learning about theories, concepts, and various other topics is primarily through copious amount of reading. And how does one read? Well, alone, as I’ve experienced. How often would other phd students you personally know be reading the same book or article or even related articles? Not often at all! And if you did find them, would they be interested in discussing the readings? Would they be forthcoming in their interpretations and application of what they’ve read? Of course I would like the answers to those questions to be a resounding yes but I’ve yet to find like-minded individuals who are in the same stage as I am, exploring the same area as I am, to be able to test this notion of study group. I wonder if self-formed study groups would materialise in the absence of taught classes. I wonder if serendipity would link the right people at the right time to be in the right mood to learn together. I wonder if others feel the same way I do about how learning together is better than learning alone, that two heads are better than one, and that the sociocultural theory of learning is a power in theory as it is in practice. My Master of Arts in Teaching experience at USC was premised on sociocultural learning. Every course had a compulsory study group component which required members to jointly prepare and present on topics, work on assignments, and in several instances, record the online video conferencing meetings that the group had and send the link to the professor. And we knew the professors watched them because some of them made references to them during our lectures! 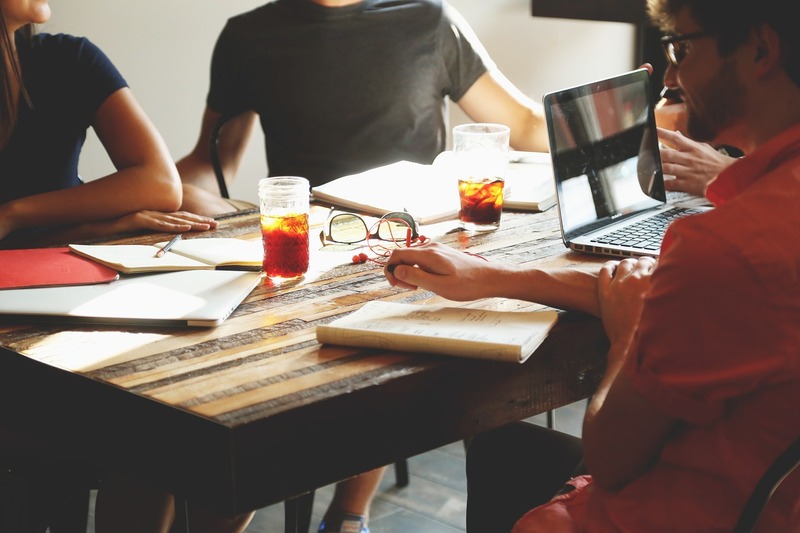 Peer evaluation among study group members was common and it was important to choose members who had similar levels of commitment toward their studies. My schooling experience had little group work and the majority of assignments were individually carried out and graded by the teacher. Study groups comprised friends you studied with before exams. So having my Masters program hinged on the success of my study groups was at first disconcerting, but later as I became more comfortable with the idea, and more importantly, had found a group of dependable and hardworking classmates to form groups with, I realised how much less I would have learnt had I not been in study groups. Four months into my phd studies, I’m reading much more than I ever have, but I wonder if I’m learning just as much. Writing helps to clarify my thinking, chatting with others helps with bits of thinking here and there, but I’m missing the focused and purposeful discussions around common topics from the study group experience I had. I’ve heard that there are groups at the Faculty of Education that meet monthly to discuss various topics and I’d be keen to find out more. But I think more formally organised groups with specific goals, e.g. jointly present on qualitative methods, would generate high quality discussion and academic work that could benefit the faculty’s phd community. The phd may appear to be a singular endeavour but it is really the harnessing of multiple resources and the support of others that enable this intellectual pursuit to see fruition. The first month was a slow month since it was December and the university was heading towards the semester break. I got my office space set up, had a few initial meetings with my supervisors, and was reading around the various topics related to my proposal. It was a quiet month with few people in the office but I did manage to meet a fellow Singaporean Phd student (the only Singaporean I know in the Faculty of Education), attend an end-of-year social gathering with other Education Phd students, and get to know staff at the faculty. The holiday came soon enough and I was not about to return to a ghost town for any sort of scholarly work. So I borrowed a few books to read over the break and enjoy the time with my family. It was also a good break from the stress of having just arrived and settling in the kids, getting to know people and learning how to run a household (e.g. school lunches, recycling waste, tending to the garden). I started baking (muffins and cookies), made dishes (mac n cheese, roast chicken) and was amazed how an oven and recipes can turn the kitchen klutz into, well, not a kitchen goddess (nowhere near there), but at least a regular baker and an occasional cook for now. It was timely that a workshop on organising and writing a literature review took place once the university re-opened, giving me a framework to wort out the many ideas that was starting to make my mind map look like a scary multiple-legged monster. The workshop also gave me the opportunity to meet fellow Phd students start to make connections with them. It was serendipitous that I sat next to an Icelandic student (Bryndis G.) who was also seated next to me at my office, but only now met her since she wasn’t usually at the office. Our proximity meant that I had more conversations with her than others and through our chatting, we realised we had similar experiences of being recent arrivals and still trying to find our way around. It was this encounter that led us to set up a Facebook group for the Phd Students at the Faculty of Education (yes, that’s the name of the group and that’s who it’s for) to try to connect the various people who were scattered between offices and homes. We also decided to have a regular mid-week lunch gathering at the common room, hoping it would be a space to meet fellow students. Study wise, I was still meandering around ideas and my supervisors highlighted how I had veered away from the main ideas that were coming out of meetings and going off on a tangent on relatively less important things. I was a bit upset with myself for letting myself get into this but was grateful that others saw my blind spots. I spend the first two weeks working on a literature review on the topic of brokering which took me to unfamiliar territory. I read works from anthropology, sociology, bilingual education, health care in immigrant communities and knowledge brokering of health care related research. It was a whirlwind tour and I wanted to satisfy my need to know how brokering has been conceptualised in different areas, and in doing so, find a concept that would fit my research focus on international students. At the end of that exercise, I had a very long essay and wished I had spent more time on other areas but it was a good exercise to flex my mental capabilities for understanding a diverse range of disciplines and approaches. I’m not sure if I want to do that again, because a large part of what I found out was going to be immediately relevant or relevant at all, and I realise I still had to expand on the relevant areas that were there. But had I not been set the task, I would not have done it so extensively. Having completed a mentally draining task, I felt free to engage in socialising and the next day after I submitted my work to my supervisors, I went round the offices to invite Phd students to the Wednesday lunch gathering (which in the past weeks were quiet with just me and Bryndis having lunch). It also happened that Bryndis decided to print out invitations to the lunch and place it on people’s desks. So it was another serendipitous coincidence and that led to a record turnout of nine students. Yay! It was also a relief that the deadline for the lit review was just before the Chinese New Year so I could celebrate it with my family and friends (a Malaysian couple came over to our place for reunion dinner) without the weight on my shoulders. Chinese New Year is not a big deal in Hamilton, so I did feel a little homesick for the usual festivities and food (and lots and lots of food) that are common back home. But I was blessed with a container of homemade Chinese New Year goodies from my Singaporean friend’s wife. That certainly added colour and taste to our dining table! This month, the first semester of the year started and so the campus began to come to life. Also, the Doctoral Writing Conversations (regular academic writing support meetings) started and that meant connecting with phd students from other faculties and getting serious tips on serious writing! We also had a morning tea organised by the postgrad department at the faculty and that was a great opportunity to meet others. Also enjoyed the muffins and crackers with cheese and hummus! Personal life wise, I signed up for the uni gym membership and having paid $385 for the year, I’m motivated to visit the gym at least once a week. So far I’m doing a class called Express Train which lasts just 30 minutes and takes us through the machines for a muscle straining workout! Just yesterday, I completed another lit review, this time for my research proposal, and I think it is more focused and my research ideas are beginning to take shape. It is the writing, the painstaking work of writing, reading, thinking, over and over again, that produce claims and argument. Not reading around and thinking about things, but serious writing! Also yesterday, while having lunch with Bryndis, that we talked about getting involved with the Postgraduate Student Association and hope to start a Faculty of Education chapter, or at least, start organising, and getting people involved in organising, study groups, expert presentations, social events for phd students at the faculty. We also talked about documenting our phd journey through blogging and encouraged each other to get back to what we set out to do in the first place, that is, to blog! (Bryndis blogs as the Running Researcher.) And that is why I am writing this post today, the result of yet another serendipitous encounter. Talking about issues with others helps to relieve the load. Making time for myself and my family is just as important as making time to think and write. I am not a lean, mean, writing machine. It is important to include in my phd life, connecting with others, discussing ideas not related to my research, and of course, keeping fit! Finding like-minded peers to solve problems is more fruitful than having solutions handed to you on a silver platter. (No silver platters around here in New Zealand, I assure you!). It forces you to think collectively and for the group. I need to set aside time to blog, otherwise, it will just not get done. And having a fellow academic blogger sit next to me is a great encouragement! Routine works for me. I’ve just sorted out a routine that takes me from studying to working out to having coffee with friends. Blocking out time to do things makes things happen! But also be prepared for plans to awry, then get over it, and carry on! Alvesson, M., & Sandberg, J. (2011). Generating research questions through problematization. Academy of Management Review, 36(2), 247-271. 3) Propose an alternative paradigm for approaching my own research. Reading Alvensson & Sandberg’s (2011) article has provided me not only fresh insights, but a practical approach to what I want to do, particularly with developing an alternative theory or conceptualization. The authors recognize that researchers want to produce interesting and influential theories and that such theories need to “differ significantly from, and at the same time be connected to, established literature in order to be seen as meaningful” (p. 247). Generating research questions through problematization thus seem to be the main route toward more interesting an influential theories, however, established ways for arriving at research questions tend to mean spotting or constructing gaps in existing theories rather than challenging their assumptions. The authors discuss briefly the reasons for such tendencies (e.g. fear of offending others), and illustrate the prevalent ways of constructing research questions from existing literature in the field of management studies. The authors also provide six principles for identifying and challenging assumptions (p. 260) which are helpful for the researcher, or the problematizer as they call it, to consider and when articulating alternative viewpoints. This article has been for me a missing piece of the puzzle as I try to make sense of the broad sweep of literature with various strands and focus areas. May I grow in my role as a problematizer to question the underlying assumptions and offer an alternative but positive perspective to my research focus. So many ideas, so little time. There were books I wanted to read, experiences I wanted to share, things I wanted to say, and then there was life happening by the second, with other lives depending on mine. As I embark on my PhD in Education, the direction of this blog will change, reflecting less on teaching and more on research. Still, I am on the road less travelled and the sojourn never ends. I’ve taken three courses with Coursera to date and I’ve enjoyed the high quality materials and the ease and freedom in which I can access them. The video lectures has been the most important feature for me as I absorb information most effectively with both visual and audio working together. Now that I have greater family demands and I need to focus on doctoral studies, MOOCs will take a back seat for now. Earlier this year, I became involved in the Global Conversations in Doctoral Preparation web initiative. The team organises web seminars on topics related to the doctoral experience, with an aim to help doctoral students assimilate into the academy, and at the same time, the virtual platform is also a site of research of how virtual communities impact the experiences of doctoral learning and mentorship. The work of GCDP includes discussing seminar topics and speakers, writing up calls for seminar presentations, as well as hosting the web seminars and doing post-seminar interviews, transcripts and so on. Between emails and real-time meetings, I’ve been impressed with the organising committee, as well as the how various individuals have been almost randomly drawn to this project and work together for its success. I recently started on my PhD journey at the University of Waikato but the road leading to that has been a long one. 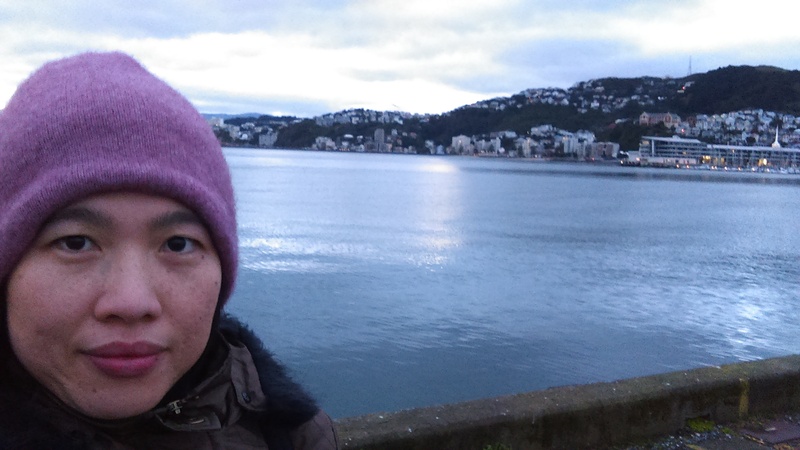 I’m now in New Zealand with my family and as much as pursuing doctoral studies is a new chapter in my life, relocating from Singapore to Hamilton seems like an entirely new book altogether! I’ll be focusing my research on international students at the local university and exploring how they adapt to their academic and social environments. The more academic sounding and official working title of the PhD proposal is: Literacy Brokering across Discourses: Identities of East Asian students at a New Zealand university. In the next six months, I’ll be unpacking what all those things mean and narrow down the possibilities of what I’ll actually be doing. I’m thrilled at being able to pursue my dream and at the same time, it is a mountain that needs moving on a daily basis. It is a dream that is now real because God has made it so. And God will move the mountain of balancing studies, family and starting a new life in a new country. 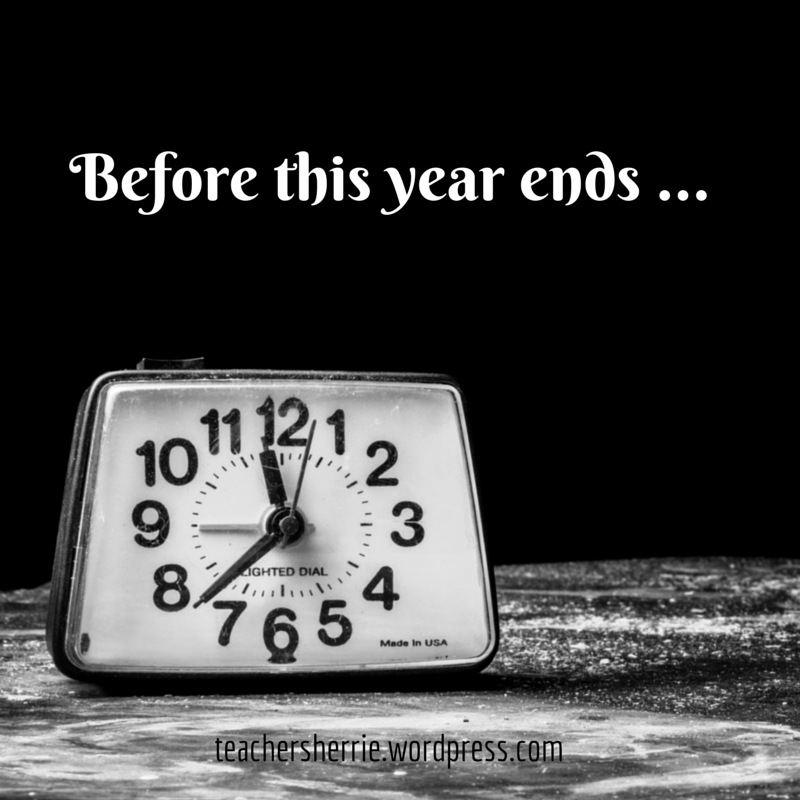 As the year ends and a new one begins, may my research and this blog be a blessing to readers. I hope to be more regular with sharing research ideas and directions, as this also helps me in my own thinking and research. Before we can be convinced of the need to get smart through digital learning, we need to be convinced of our own stupidity. 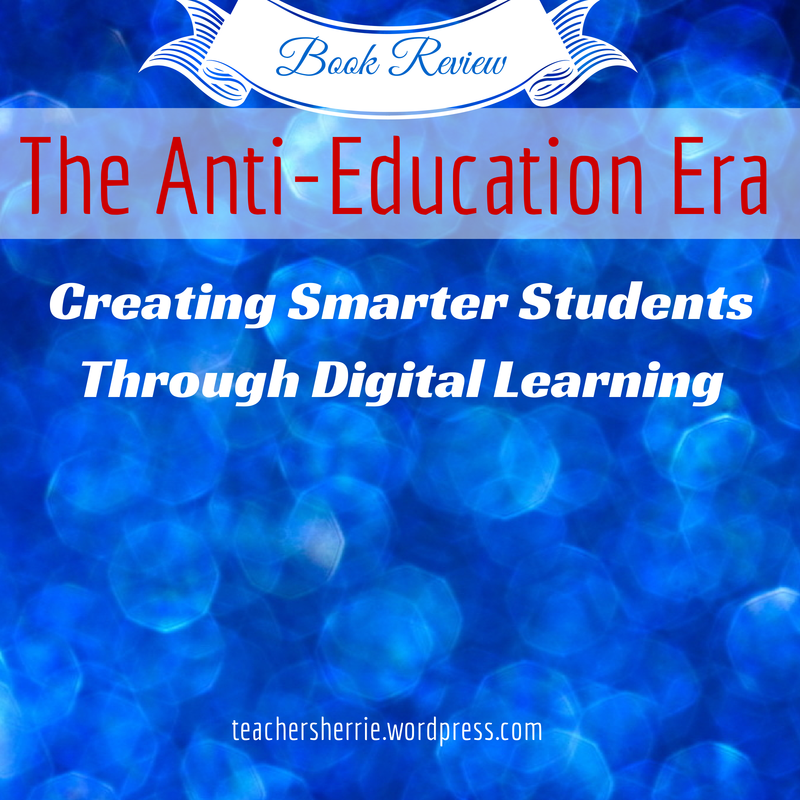 The title implies that the book will explain how digital leaning will create smarter students in an era the author terms ‘anti-education’. 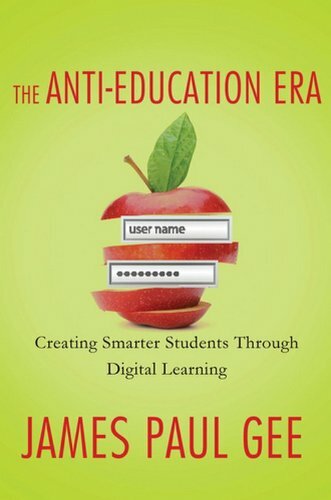 While Gee does explain that and does it well without much reference to buzzwords in educational technology, what the title (as well as the blurb) does not warn us is that there will be a confrontation of the state of the human being and an uncovering of the failings that we are oblivious to. In fact, Part I of the book, which comprises 15 chapters, is plainly titled ‘How To Be Stupid’, while Part II, titled ‘How To Get Smart Before It Gets Too Late’, has just six chapters. In other words, before we can be convinced of the need to get smart through digital learning, we need to be convinced of our own stupidity – and Gee does that by exposing mental comfort stories, the dangerous lack of agency or purpose among members of a community (or citizens of a country), and the damaging consequences of our stupidity, e.g. self-deception, inequality and hopelessness. Unapologetic and deeply convinced for a smarter and more moral world, Gee writes simply and candidly to question our assumptions about education, the economy and society, and calls us to action: to connect, collaborate and create collective intelligence. I touch on a few of Gee’s arguments that have struck a chord with me. 5) There is an opportunity to act in a way that elicits a meaningful response from our community (local/global). Unfortunately, much of formal schooling is highly passive with students imbibing knowledge without much opportunity to take meaningful action based on what they have learned. The lack of a compelling or meaningful goal of studying and attending school is exacerbated by the focus on testing and gate-keeping examinations. Furthermore, some students have initial mentoring (in the form of parents, out-of-school experiences, etc.) and some have not; nonetheless, “we pretend they are on a level-playing field” (p. 16-17). Status and solidarity are powerful cultural forces that shape our identity and influence our everyday actions. We seek status in terms of respect from others. We also seek solidarity with other in order to have a sense of belonging and being accepted. Such forces, however, may dull our senses and better judgment when status and solidarity become the only end goals of a meaningful life. As a consequence, we accept and perpetuate particular world views and actions contrary to empirical evidence and facts, common sense and moral standards. For example, aspiring to own a club membership like your peers when your income cannot support it; indulging in bullying tactics along with your buddies when you know the bullied is distressed. These examples may appear trivial but they scratch the surface of a world beset with social ills and inequalities. In our limited world of people who we want to like us, and people we want to be like, we disregard more rational thought and action, and more sadly, disregard other humans who fall below our flawed standards of human existence. In order to engage our students in more critical and reflective thinking, we need to lead them to an affinity space where a community of learners who share common passions and goals. They may come from a variety of backgrounds and have varying levels of experience and expertise, but by exchanging ideas, opinions and thoughts with one another, the group solution to the challenge is going to be superior to an individual’s effort. “[H]umans think and act better when we do so by getting the help of others and giving help to them” (p. 174). Such affinity spaces would look like discussion boards and interest groups related to the simulation video game The Sims where players find ways to create objects of their desire such as building their dream house and accessories, as well as the various user-generated communities where players interact with one another. I do believe that affinity spaces are not limited to an online environment and it is important to have real-life face-to-face connections in any affinity space to encourage authentic relationships among learners. Exactly how affinity spaces are to be constructed is not the focus in Part II of the book but the end is really the beginning of our conversation of how to make use of our 21st century tools to enhance our student’s thinking, reflecting and doing while creating purposeful goals for them in a diverse and global community. 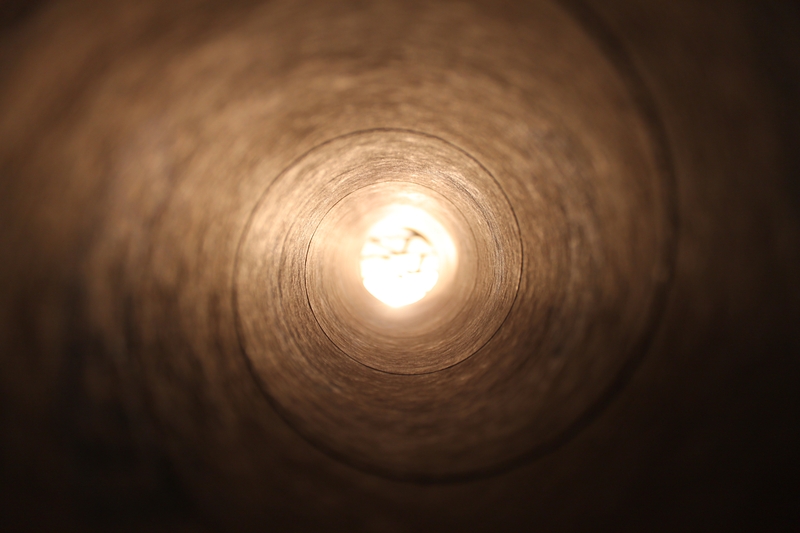 Open Educational Resources (OER) are increasingly important when we consider the breadth and depth of material that are being produced by educational institutions, media production companies, and even individuals. Equipping my students with web-based resources allows both my students and I to have access to high-quality and up-to-date information, whenever we need it, wherever we are. This frees me from creating teaching material from scratch and enables me to focus on teaching in class. For me, the most useful resource on this site is the section on APA Style. It contains sections on how to cite and reference for different reference materials, including print, web and recorded material. The information is presented in an easy-to-read format with clear examples for readers to follow. The information is also easily searchable which makes navigating a content-heavy website less onerous on the user. The Purdue OWL is a great example of how one educational institution creates and maintains educational resources and makes it available for free for educational use. Howcast is a media production company that specialises in high-quality and entertaining instructional videos. The videos are usually no more than 5 minutes long but contains enough information to keep the audience engaged. I have used their videos on presentations, writing and questionnaires in my classes. My students usually perk up when the lights dim and the video comes on. The YUNiversity is a blog (and more) on grammar tips presented in an off-beat, humorous and engaging manner, and is especially suited for the current generation of youths. They post on Tumblr, Twitter, Pinterest, Instagram, Medium and handle Q&As on ask.fm The YUNiversity is managed by an English graduate from the University of California at Berkeley and his wife. I share their posts on grammar tips with my students on social media platforms like Facebook and Twitter. 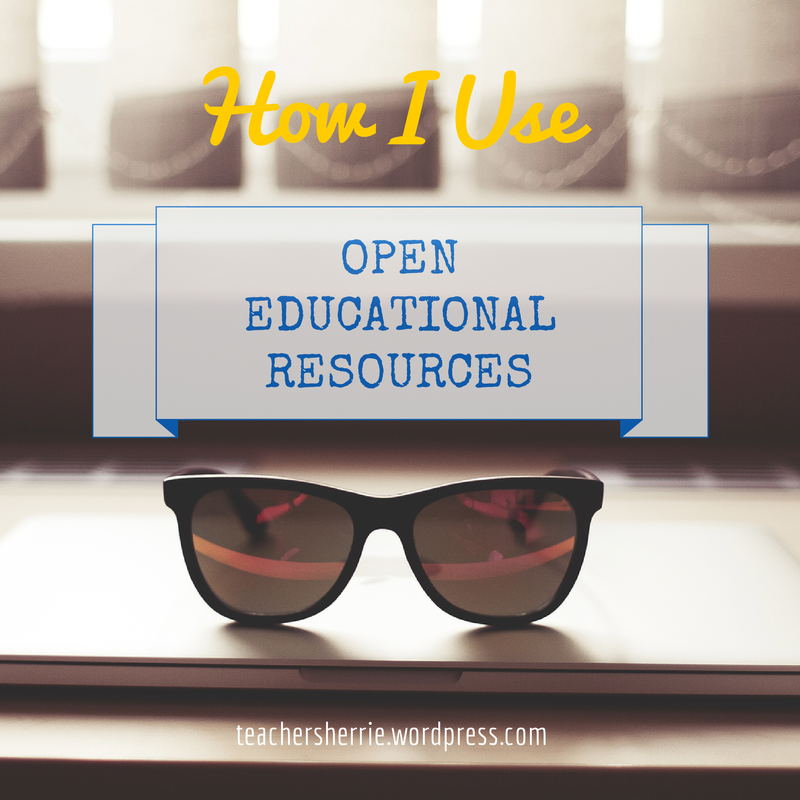 OERs are indispensable in any classroom. I hope this post has got you thinking about exploring the world wide web of wonderful educational resources!